Described as both the "last gentleman sportsman" and a "formidable competitor", Cunningham was equally at home behind the wheel or at sea. He has been called a "pioneer who achieved tremendous things for Americans in the world automobile racing scene". Along the way, he attracted many aficionados who to this day celebrate the tale of an American sportsman. 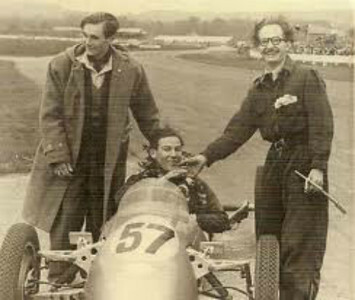 Ray Martin looks very pleased with his work after Stirling Moss takes victory on the Kieft's first outing, Goodwood May 1951.